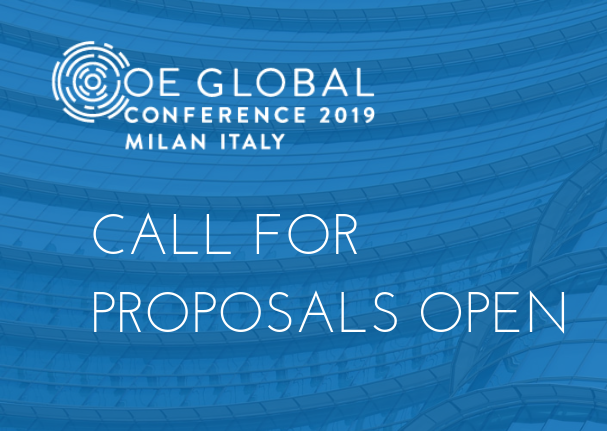 The Call for Proposals is officially open! 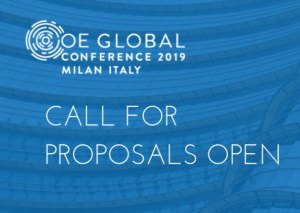 We invite you to submit a proposal to present at the Open Education Global 2019 Conference, 26-28 November, in Milan, Italy. Presenting at the Global Conference provides an opportunity to share your knowledge, experiences, and ideas in open education. For detailed information on proposal submissions, see the Call for Proposals on the conference site.